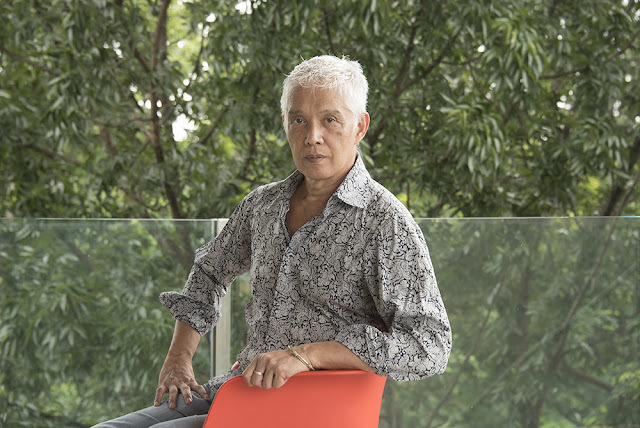 Loy Arcenas, Broadway production designer-turned-director, is having a film retrospective at the University of the Philippines (Diliman) Film Center Cine Adarna on February 20, 21 and 22. To be shown on February 20, Tuesday are “Niño” at 4:30 pm and “Ang Larawan” at 7:00 pm. “Niño,” which is a story about the decline of a wealthy family, is Arcenas’ feature directorial debut; its awards include a Special Jury Prize at the 2011 Cinemalaya Independent Film Festival and Best Film joint recognition at the New Currents Section of the 2011 Busan International Film Festival. Meanwhile, “Ang Larawan,” the Filipino musical based on Nick Joaquin’s play A Portrait of the Artist as Filipino, is the Best Picture winner at the recently concluded Metro Manila Film Festival (MMFF). On Wednesday, February 21, at 4:30 pm UP Cine Adarna is screening “ReQuieme!,” a comedy about about unspoken family burials, sexual politics, homophobia and sheer mix of scandal and inebriation that form a complete picture of dying, the Filipino way. “ReQuime!,” winner of the Special Jury Prize at the 2012 Cinemalaya, is Arcenas’ second film. All three movies are showing again on February 22, Thursday, with “Niño” at 2:30 pm, “ReQuieme!” at 4:30 pm, and “Ang Larawan” at 7:00 pm. All screenings on the said day feature a Q & A with the director. Arcenas is an award-winning production designer who has created sets for Broadway productions and worked with distinguished American playwrights and directors. Ever since he returned to the Philippines in 2011, he has been directing stage plays and full-length feature films. His next film is “Mirador,” a drama thriller starring Cherie Gil as a grieving widow who must confront her troubled past.